Simmba‘s rage has swept over the nation like wild-fire, still going strong into its third week. 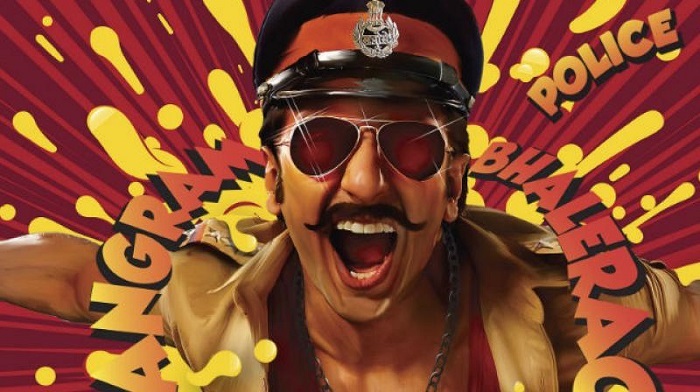 One of the only successful hits of the year, last year’s crowning glory Simmba cruised its way into the current year too with its long stint on the big screen as fans just can’t get enough of our beloved cop. VFX has played a crucial part in its success. We spoke to the NY VFXWAALA team who informed us about the intricacies of the visual effects involved in making the movie as stunning as it is. Simmba has been a successful project which involves a fair bit of VFX. Please tell us about the role of VFX in the movie. Simmba is a very special movie for NY VFXWAALA, we started the artwork and concept design almost a year back from the release, our Senior VFX supervisor Ranadheer Reddy was involved from the pre-production stage of the movie having an active involvement throughout the shoot, as majority of the movie was shot on sets or against chroma. Understanding the Director’s vision and imagining the way the film must be shot and worked upon in post-production in-order to achieve the desired result, our VFX Creative Head Naveen Paul having an Eye of Excellence, has given the stunning visuals which has added value to the film. With a strong production planning done by our Chief Operating Officer Vinoth Ganesh alongside with the Senior VFX Producer Sandeep Mane who were actively involved in coordinating with Rohit Shetty Films and DI Team in getting every piece information required by the creative team. What were the challenges that you faced in the process? The challenges we faced were about the huge amount of set extensions and 3D work which must look similar and match to the original set, we had to do the Lidar 3D scanning of the entire set and create a Virtual Set in Maya in the studio so that all the set extensions look real and seamless. We’ve seen some chase scenes with stunning water sequences and droplets flying around. Could you discuss as to what sort of software and techniques you have used to create the same? This film has many sequences which will give you goose bumps, one of them is the ‘dhobhi ghat’ sequence, which was originally shot at a different location altogether, the challenge was to make it look real, and as the desired output was supposed to exceed the expectations we used a combination of 2D and 3D VFX technology to give it a perfect look as per the director. The technology involves multilayer comping with water and cloth simulation done is software’s like NukeX, Maya and Realflow. How many shots were delivered? We have worked on more than 1800 VFX shots which comes up to a duration one hour and 43 Mins. How many people worked on the project and how much time did it take? The entire team of NY VFXWAALA, segregated in across both 2D and 3D departments, who have worked for more eight months straight on this film. The hard-work has reflected well on the big screens as is evident from the sheer numbers at the theater. We hope filmmakers continue to floor us with such amazing VFX fused with the brilliant storytelling.